The Center for Learning and Teaching at York Technical College invited high performing business men and women to serve as panelists for their Developing A Curriculum (DACUM) event. DACUM serves to identify job qualifications that professionals in the field of computer programming are seeking to hire. The goal of DACUM is to identify and teach students the skills necessary for success in the workforce. With input from the panel, programs are evaluated and designed to meet the needs of the business community. The in depth process helps to insure graduates will be able to perform duties and tasks relevant to the needs of the job market. Jason Broadwater, founder and president of RevenFlo, a web design, development and Internet marketing company, and, founder of The Hive, a workforce development and small business incubation program focusing on Internet marketing, communications, and technology, is honored to serve as a DACUM panelist. 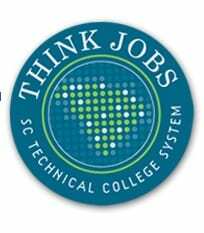 York Tech and Broadwater share a common interest: both endeavor to contribute to the economic growth and development of the tri-county area by maximizing students’ potential for success. As partners who champion economic growth and see the technology sector as a catalysts for that growth, DACUM and technology panelists create an opportunity for fostering that growth by equipping graduates for today’s workforce. Share the post "Participating in DACUM at York Tech"